We think of Imbrium as a vast sheet of lava (or lavas), mostly cleanly fringed by the Apennines and other mountain boundaries. This may be a false impression resulting from a lack of high resolution images! 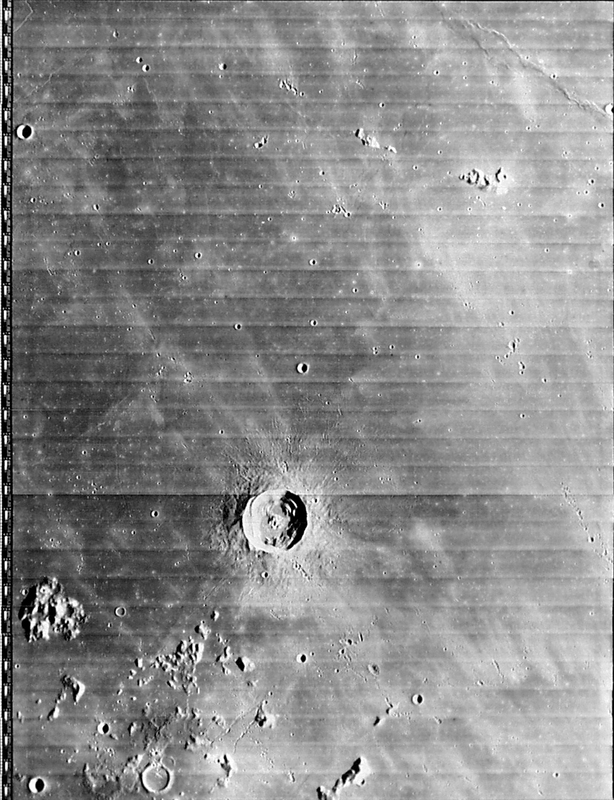 In this Apollo Hasselblad image recommended by Danny Caes we can see a part of Imbrium just north of the Carpathian Mts that has had a more complex history than simple flows of lava. The large unnamed mountain (Caes Mt?) at right center is rather far from the Carpathians to be considered part of that range, instead it seems related to the hills to the left (west). This is a 100 km expanse of rough terrain that might be equivalent to the Apennine Bench Formation near Archimedes. This moderate sun handheld Apollo shot shows features not seen in the Lunar Orbiter IV view of the same area. A segment of a wide linear rille is just left of Caes Mt. - it looks like it might continue to the two small linear peaks to the upper right. Natasha is the broad, flat-floored crater to the left center; below and to the left of this crater is a dome with an off-center elongated pit. To the lower right of Natasha there is a pancake-like dome or swell. 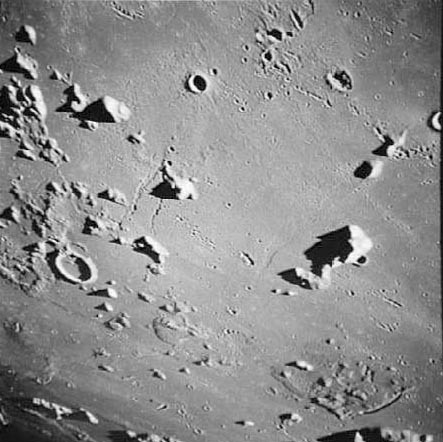 This area is sprinkled with chains of secondary craters from Copernicus, and there are two crater chains not from Copernicus above Natasha. I hope to soon see a high resolution, low sun amateur image of this area! This page was last modified on 15 March 2015, at 15:14.